Can Seniors Protect their Wealth and Still Be Eligible for Medicaid Benefits? You didn’t like the thought of going into a nursing home, but after your stroke, you knew you couldn’t depend on your family for the care you needed. While your injuries have healed, you still need round the clock care—and as much as it pains you to admit it, you’re not going to be able to go home. 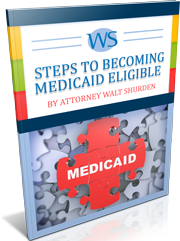 Why Is It So Important to Protect Your Medicaid Eligibility in Florida? The loss a family feels when one of its members enters a nursing home is not only emotional but also financial. A single month’s worth of nursing home care can cost up to $8,000, posing a serious threat to the family’s financial security. Not only will the remaining members be forced to pay out of pocket for medical expenses, but the family’s assets and savings may be reduced by nearly $100,000 every year. Thankfully, there is another option. Under Medicaid’s Institutional Care Program, Medicaid will pay for the full amount of nursing home costs for qualified Florida residents. If a senior requires dedicated nursing home care, Medicaid will pay for long-term medical treatment as long as the person meets the Medicaid eligibility asset and income requirements. This is done to ensure applicants (and their spouses) do not exceed the income allowance—in other words, they cannot afford to pay for a nursing home on their own behalf. If you are a single, divorced, or widowed senior entering a nursing home, there is a limit on how much you can earn and how much property you may own to maintain Medicaid eligibility. The exact amount varies by year; in 2014, the income limit for a single senior is less than $2,163, and he or she must have less than $2,000 in assets. This year, a single person’s allowable monthly amount for personal expenses (personal needs allowance) is limited to $35 per month. Meeting the eligibility requirements when only one half of a couple requires care is more complicated. There are limits on the value of assets your spouse may retain while you enter into care, including money in bank accounts, retirement accounts, stocks, cars, houses, and tracts of land. However, there are several exceptions to these limits, such as not counting the family home toward the resource limit if your spouse continues to live there. Couples who are concerned about one spouse entering a nursing home should speak to a qualified elder law attorney as soon as possible to protect both the spouse in care and to ensure the comfortable living for the spouse remaining at home. If a couple is entering into a nursing home together, both spouses can qualify for Medicaid if their combined income is less than $4,326 per month (in 2014) and they have less than $3,000 in combined assets. Again, Florida law allows several exceptions, such as excluding one car (per couple) from the total amount of assets. How Can an Attorney Help Me If Medicaid Won’t Pay for a Nursing Home? Under Florida law, residents can continue to qualify for Medicaid benefits by transferring their excess income and assets into trusts. These Qualified Income Trusts (or Qualified Disabled Trusts) allow a senior to set aside his wealth and assets, making them exempt from being counted toward Medicaid eligibility. As long as the funds are held in trust, they will remain the property of the trustees until the death of the trust maker, when they will pass to whichever members of his family he has named. Trusts make it possible for seniors to get Medicaid benefits, ensure financial security for their spouses, and to make sure their assets remain in their own hands to be passed on to their children. However, the process of trust creation can be a complicated business, and involves the transfer of some (or all) of the senior’s assets before he may be eligible for care. In most cases, there will be changes to the couple’s wills, estate plan, deeds, account ownership documents, investment plans, and named beneficiaries. If it is possible, all couples and single seniors should start their estate planning as early as possible. Each month that a couple does not qualify for Medicaid means that family wealth is siphoned away. Unprepared seniors may lose hundreds of thousands of dollars simply because they did not know that asset protection was an option, leaving them only able to qualify for benefits after their family wealth has been spent on care. When it comes to determining your long-term care options, not all advice is created equal. Only an experienced elder law attorney knows the legal advantages and pitfalls of asset protection. Too many “financial representatives” will prey on seniors’ fears by selling them worthless financial products or charging them for bad advice, leaving them worse off than they were when they needed help. 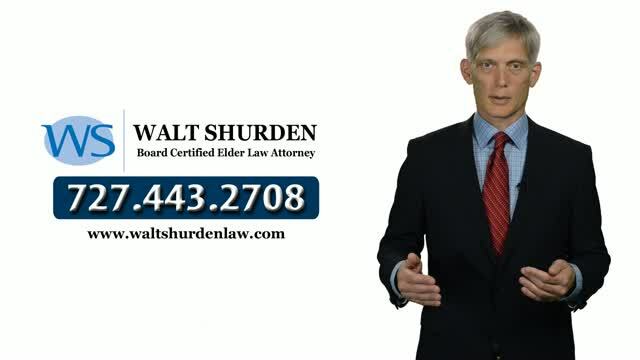 At Walt Shurden Elder Law, we start out with a one hour consultation during which we gather the relevant information and provide you explanation of strategies that work in your particular case. We advocate for seniors, helping them to secure a financial future that benefits them, not ourselves. To get started, call our office toll-free at 877-241-1230 or email us to have our staff contact you.